The Muslim Brotherhood, entitled “the Brotherhood” was founded by an Egyptian Islamic Sufi scholar, Hassan al-Bana, in 1928. Although Egypt was, nominally, independent, practically the proud Muslim Egypt with its rich history was ruled by the Christian British Empire. Not only Egypt, all the Arab, Muslim Middle East was under the direct or indirect rule of Western, Christian, Imperial, foreign super powers, mainly UK and France. The slogan of the Muslim Brotherhood was and still is – “Allah is our objective. The Prophet is our leader. Qur’an is our law”. The final ultimate goal of the Muslim Brotherhood is the recreation of a new Caliphate, unified Muslim state in the Middle East. The Muslim Brotherhood, in the beginning, opposed violent means to achieve its goals. Later events in the Middle East, such as the creation of Israel in 1948, the Socialist Arab regimes in the Middle East that oppressed Islamic political organizations, especially the Baath party in Syria and Iraq, and the ongoing Western interference in the Middle East promoted a change. Sayyid Qutb, a famous Islamic writer and the most prominent ideologist figure in the Muslim Brotherhood, wrote that physical power is sometime necessary in order to abolish the heretic system that opposed Islam – meaning the Western Christian, democratic culture and their allies in the Muslim World. (It is known that Osama Bin Laden was deeply influenced by Sayyid Qutb s’ books). The Muslim Brotherhood laid the ideological basis to the more violent Global Jihad against the West and became the natural habitat for many radical and violent Islamic organizations. A. True Islam implemented in a unified Muslim state in the Middle East is the real solution to the problems of the Muslims in the World and particularly in the Middle East. B. Western Christian, democratic culture is a major threat on the Muslim world as it poisoned the mind of the young generation. It is deliberately imposed on the Muslim World in order to weaken the Muslim Arab society, to prevent the Muslim to be united against the Western Culture and enable the exploitation of the Muslim s’ natural sources. C. The use of physical power in order to protect Muslim followers and their interests can be justified if other means failed. 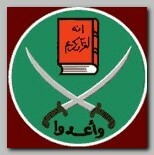 Today (06/2007) the Muslim Brotherhood is outlawed in Egypt and many other Muslim countries. Brotherhood activists continue to operate in deferent front organizations with other cover names. Many political commentators agree that if the election in Egypt would be free and secret the Muslim Brotherhood could win the majority in parliament. The organization has, still, a great influence on the young generation all over the Muslim World and especially in the Arab World in the Middle East. * On Tuesday 06/07/2011, the MuslimsBrotherhood became legal in Egypt, following EGYPT’S REVOLUTION in 02/2011, and registered a party to run in the 09/2011 elections under the “Freedom and Justice Party” name (see – Fredoom-Justice Party ).